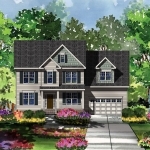 The Savannah by ICG Homes is one of many custom ICG home plans that can be built at Perry Farms. 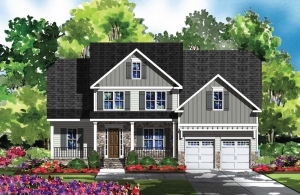 Construction on single family custom-crafted homes is underway in Wake County’s Perry Farms. Located in Rolesville off Averette Road with a Wake Forest address, Perry Farms features spacious 1/3+ acre homesites and amenities that will include a community pool and cabana. Homes at Perry Farms by ICG Homes reflect the comfort, elegance, and convenience required by today’s active families. Owners will enjoy custom built homes of 2,600+ square feet priced from the $400s, consisting of 3 – 4 bedrooms, 2.5 – 3.5 baths, and customized interiors with appealing outdoor living spaces. Click here to explore custom home plans available at Perry Farms from ICG. Learn more by clicking here or by calling (919) 876-5802.